Table Runner - Approximate Size 18" x 49" This pattern features both the large runner and the small table charm runner. These pine trees are made from strips and no templates are required. 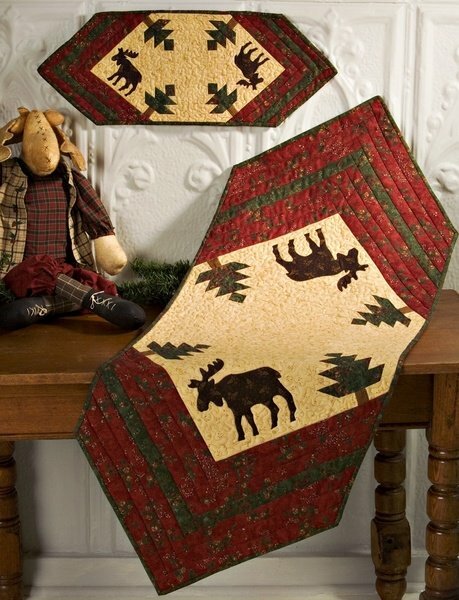 Moose template is included and the moose are machine appliqued.